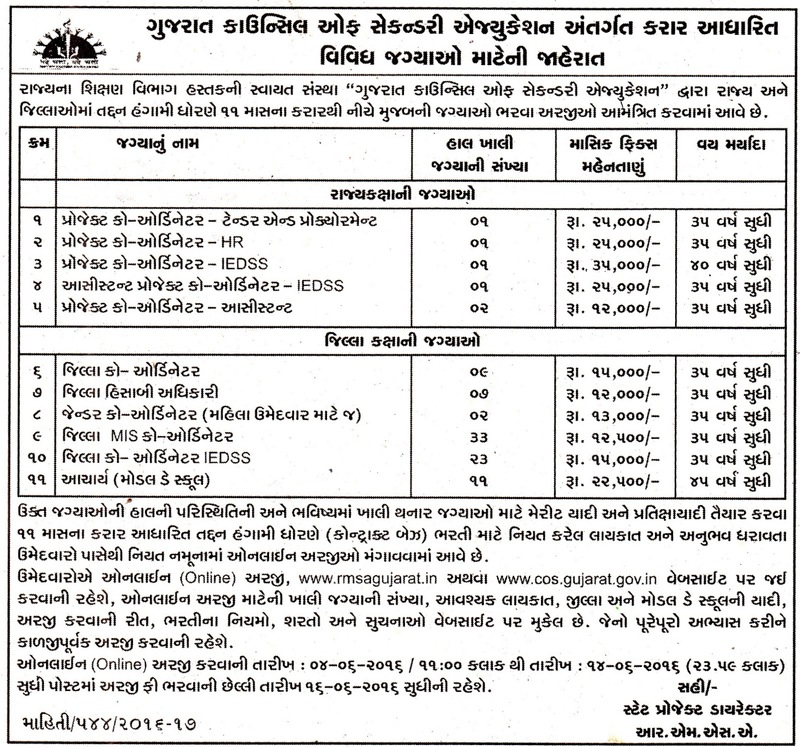 Gujarat Council of Secondary Education has published a Advertisement for below mentioned Posts under Rashtriya Madhymik Shiksha Abhiyan Gujarat (RMSA Gujarat) on contract bases 2016. Educational Qualification : Please read Official Notification for EducationalQualification details. Details will be available after 04-06-2016.